What's not so ideal is corralling and toting all the snacks, grilling accouterments and food that you need to supply such a fun affair. It can become a jumbled, spoiled mess in a hurry that can ruin a party before it even starts - that's where we can help. 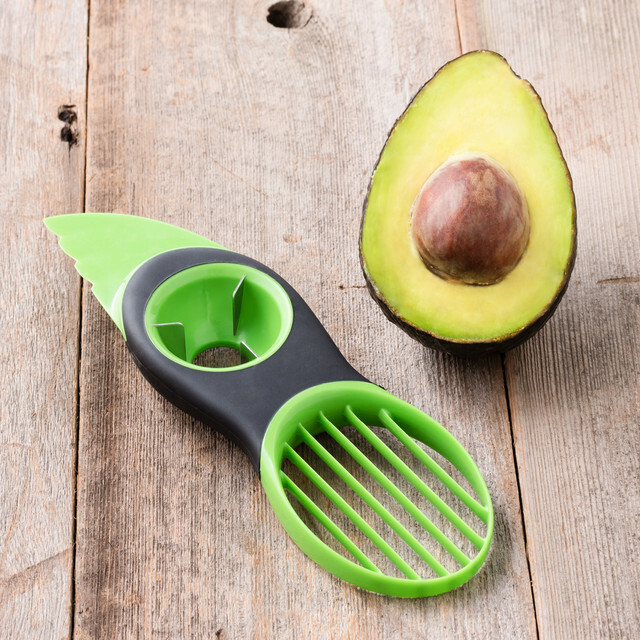 This summer, we've brought in some innovative and absolutely necessary summer gadgets that can get you ready to prep, cook and serve in a fabulous flash. Our Juiciest Juicer promises to squeeze twice as much juice than a manual juicer with its innovative, multi-slotted design. 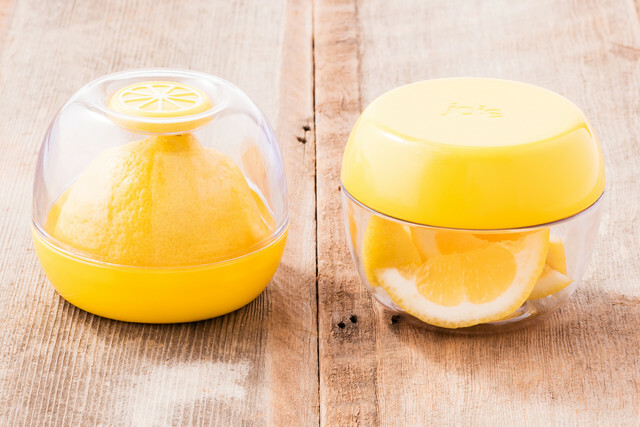 And, it comes with a storage cap to store your juice in the same container! Perfect for picnic drinks and quick dressings on-the-go. 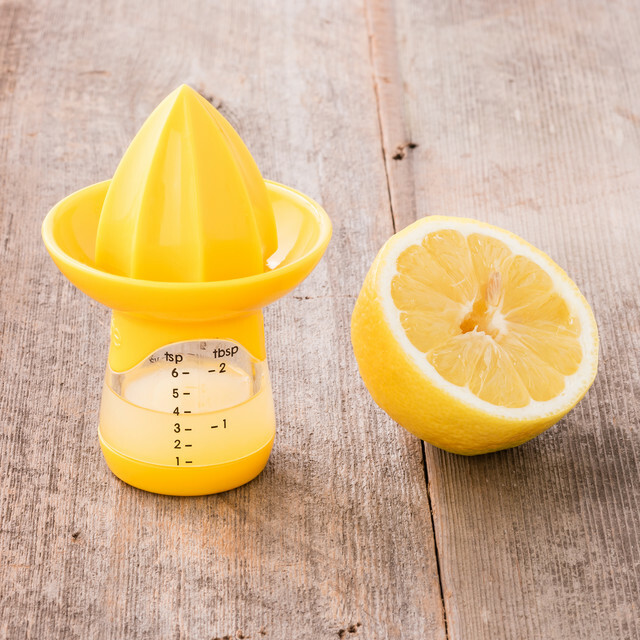 For perfectly measured lemon juice with no chance of spillage, our Lemon Juicer does the trick! Perfect for accurate recipes and a breeze to unscrew and clean. Keep your foods their freshest with our Fresh Flip Pods! 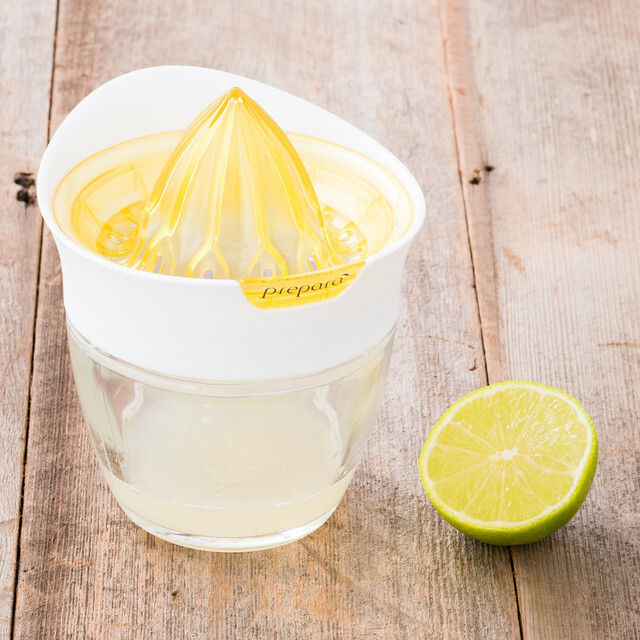 With their ingenious design, you can flip foods like avocados, citrus fruits, onions and more (seen below) on their base while their cap fits perfectly to the vegetable or fruit they are suited for. They work so well to keep air out and freshness in, especially for summer entertaining. 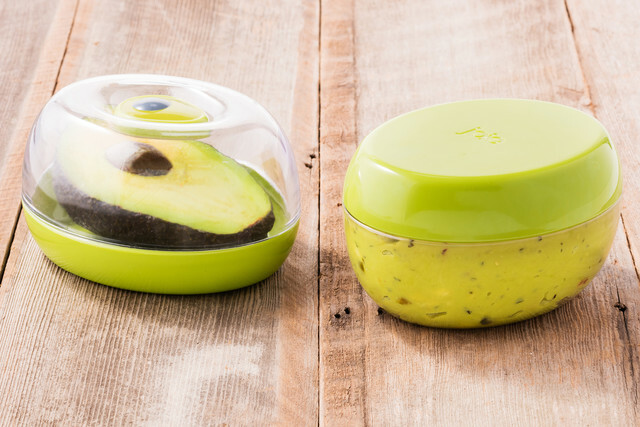 For all fresh guacamole lovers out there, our Guac-Lock has you taken care of. 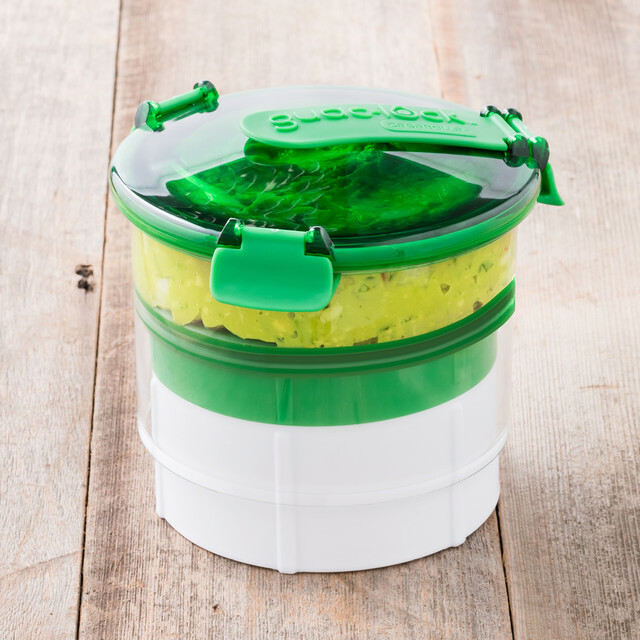 It locks in the freshness by keeping all of the air out, and keeping guacamole from browning so you can make ahead and store your leftovers! Best of all? It doubles as a serving dish - which will help make outdoor entertaining a breeze. The last thing you want to smell while you're taking a big bite of your apple pie on a 4th of July celebration is garlic....but it's hard to use fresh garlic in any recipe without having the smell of it linger on your hands for days. Not with our Scroll Garlic Peeler by Joseph Joseph, though. 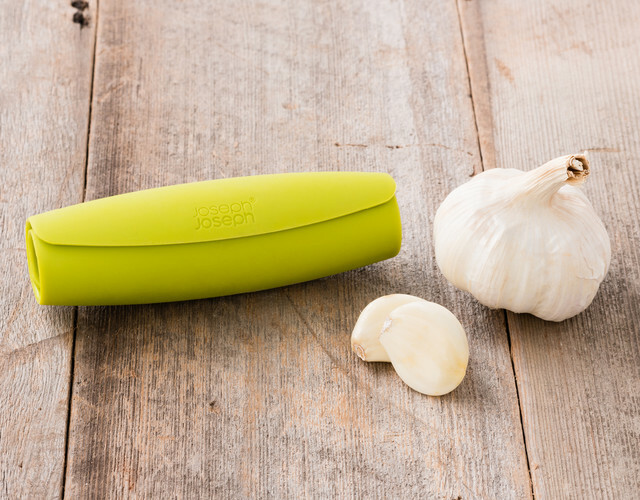 Peel multiple garlic cloves quickly and easily simply by inserting cloves and rolling them within the silicone peeler on worktop to peel garlic. It even unrolls for easy access and cleaning. Pre-package and tote your go-to grilling favorites all in one place - with our Patty Stacker! It minimizes hand contact with food and makes up to nine 1/3 or 1/4 pound hamburgers. 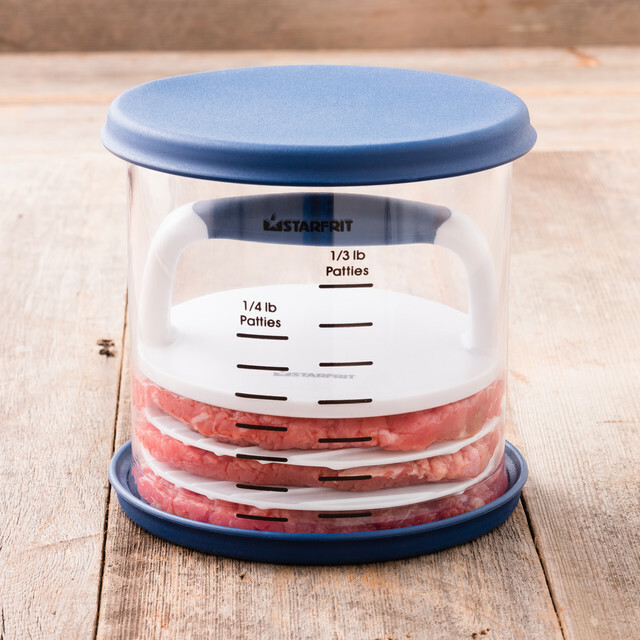 Measurements on the side help you make perfect hamburgers as well as a silicone base that helps you press down evenly. It's airtight for storage in the refrigerator or freezer for the freshest burgers. 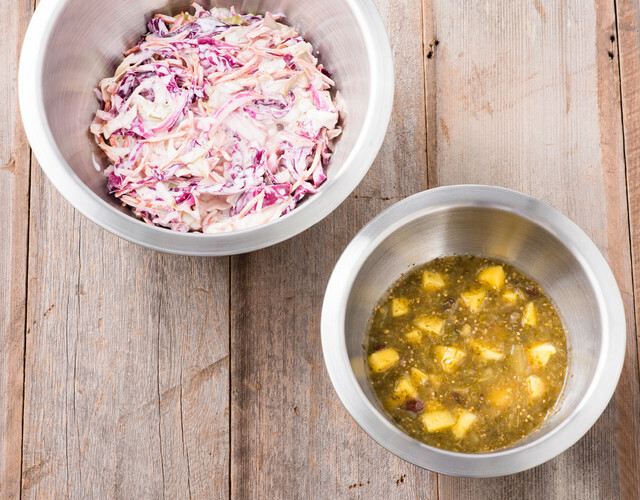 Prep, mix and make all in one place with our Stainless Steel Mixing Bowl Set by OXO! The stainless steel interior is perfect for mixing, marinating and chilling. A non-slip bases keep them in place while you work, and the curve is just the right angle for using an electric mixer and scraping out contents. They nest neatly when not in use to conserve space. 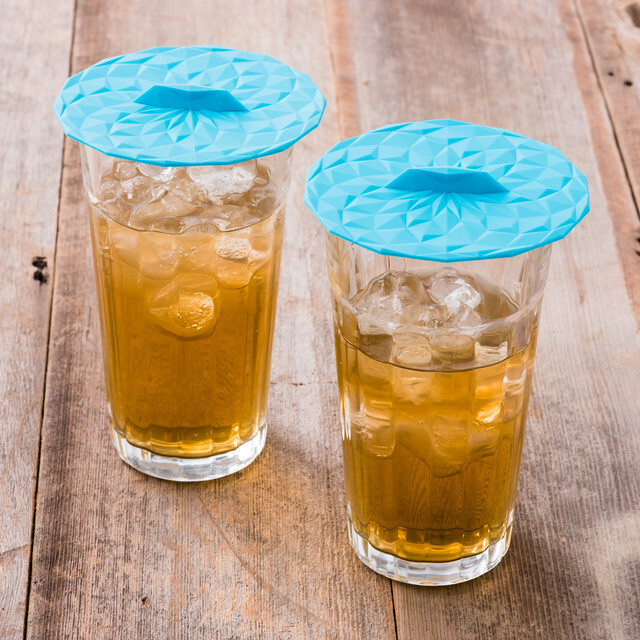 Keep the flies away and your drinks a little cooler with our Silicone Drink Covers. Each cover sits on the top of your glass or mug, creating an airtight seal that protects against splashes, dust and even bugs. Great for drinks on the patio, or to help identify whose drink is whose! Every good outdoor party needs at least a little ice cream to make an appearance. But this sugary treat can get messy in a hurry. With our Dimple Ice Cream Scoop by Joseph Joseph, scooping is easy and clean. 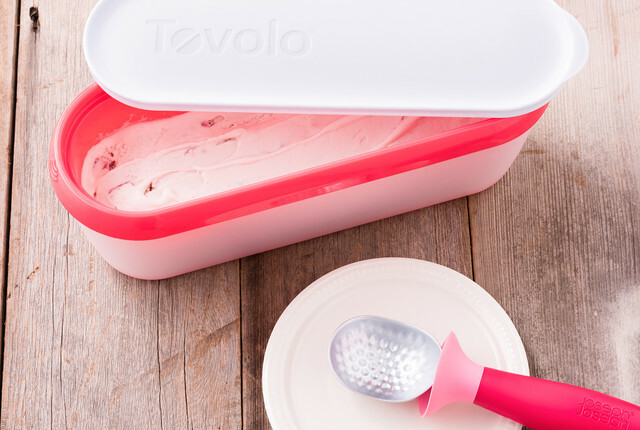 The scoop has an integrated drip-catching collar that won't leak over when standing upright, and a tough zinc alloy scoop cuts through hard ice cream and sorbet easily. 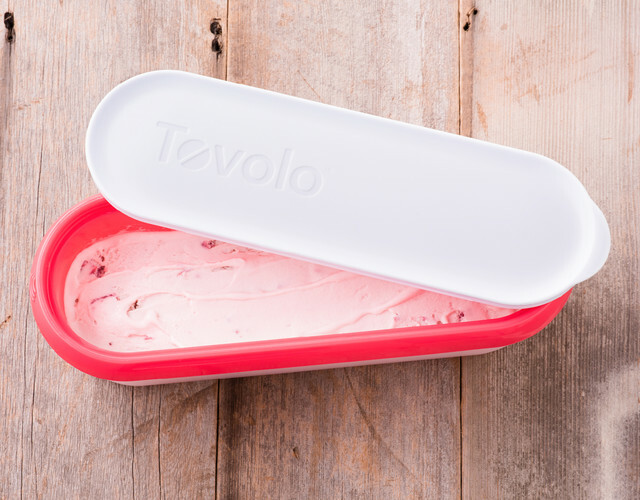 Our Dimple Ice Cream Scoop's partner in crime has to be our Ice Cream Tub. For homemade ice cream of all flavors, it's the perfect product to store and tote them all. 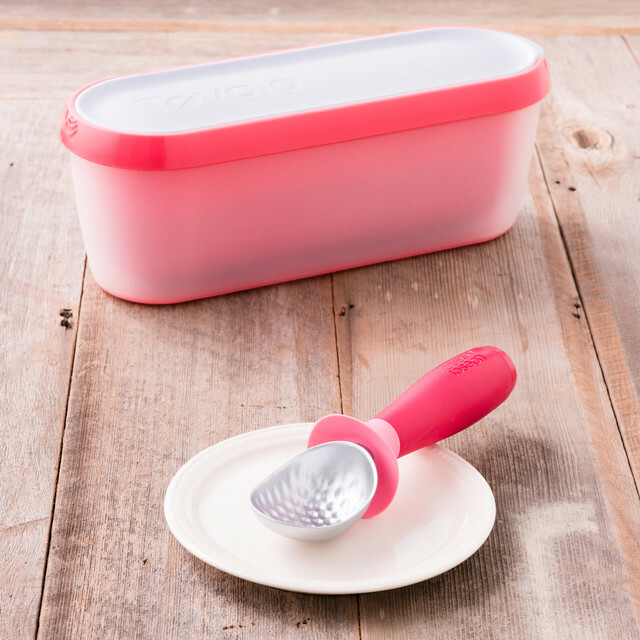 Its slender design helps guide the perfect scoop and the non-slip base holds the container in place as you scoop! The deviled egg is a classic party staple, it's also one of the hardest to transport. 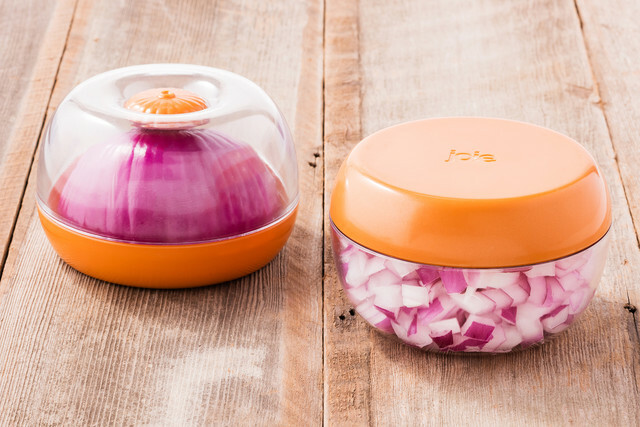 Make it easy to take, grab and eat with our Snap n' Stack Egg-Tainer. Its two tiers stack and snap together to maximize vertical space, which is especially handy when stored in a refrigerator. 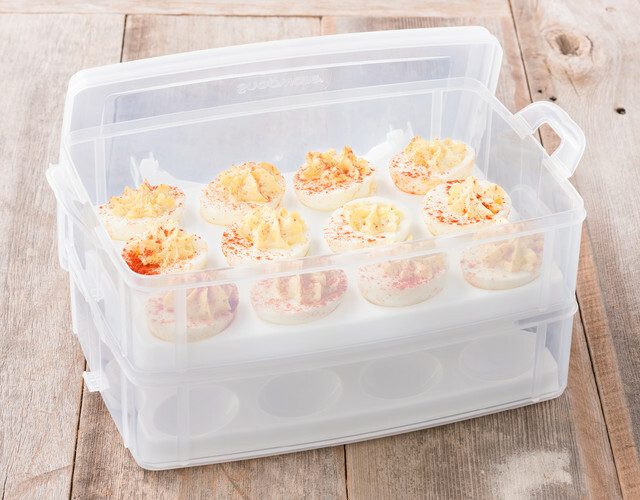 The two trays with concave holders lift out so it's easy to clean - and also comes in handy if you want to use the container to carry items other than eggs. We hope that some of these new arrivals have inspired you to take your Summer entertaining to the next level! Let us know if you have any recipes perfect for these gadgets in the comments!